Tina: I have these two pine trees that were planted about 30 years ago. 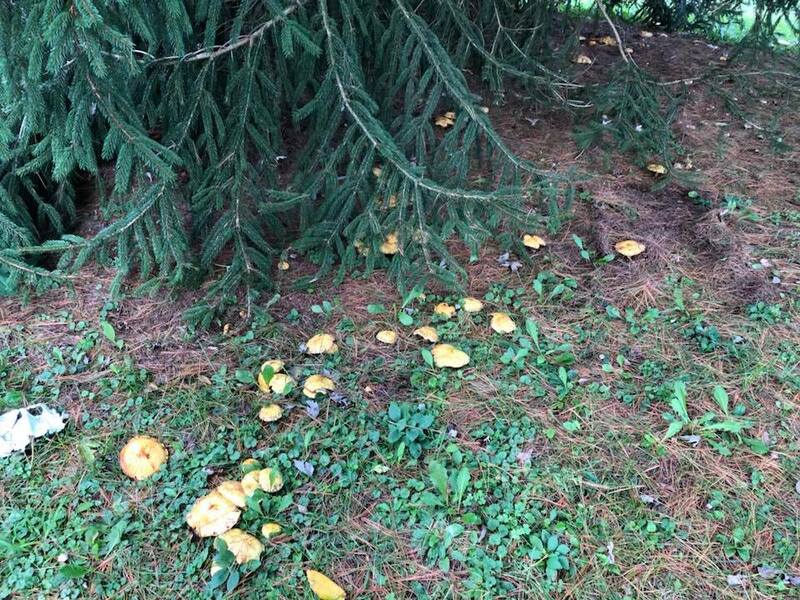 These mysterious mushrooms appeared in the past week. I’ve never seen them before. They are in a half circle under the edge of the tree without the bottom branches. They are starting to growing in my pasture. The cow and horses probably won’t eat them. But I also have chickens here and they eat anything. Can you tell me anything about these mushrooms? Doug: I wouldn’t worry about them. I guess you’ll have to keep the chickens away from them, but they will be gone in a few days. 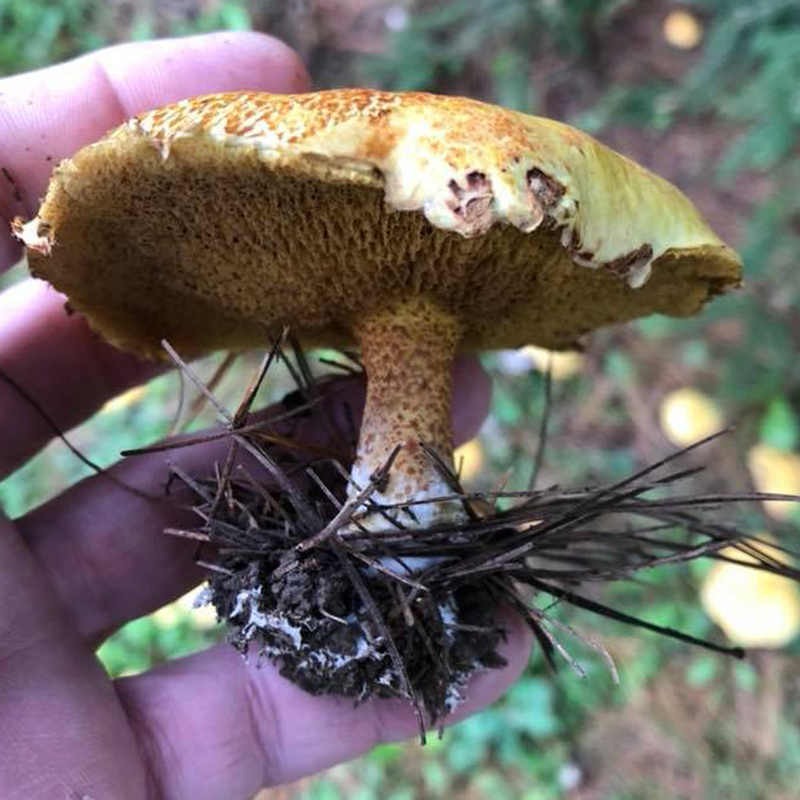 To get an exact ID on them, reach out to the Western Pennsylvania Mushroom Club. They are an awesome group that will help you out. 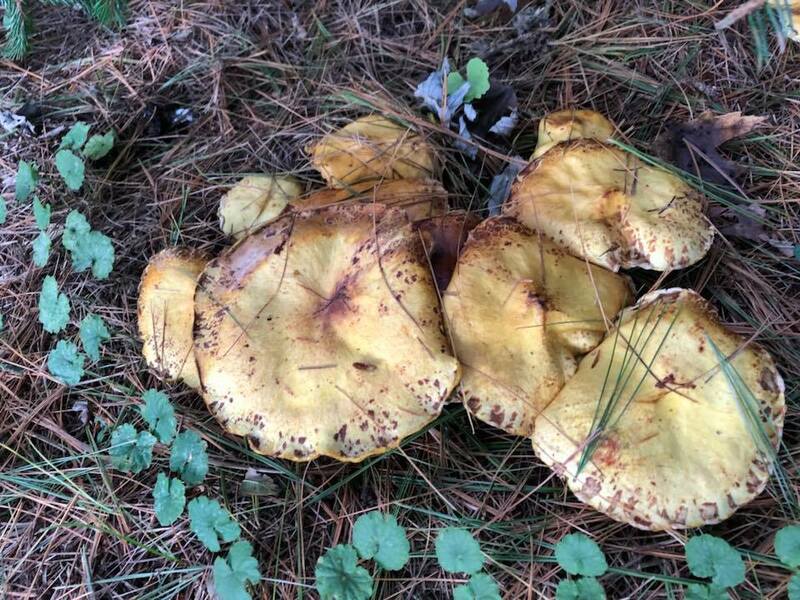 Never eat a mushroom unless it’s identified by an expert, something I’m required to say whenever I mention wild mushrooms. 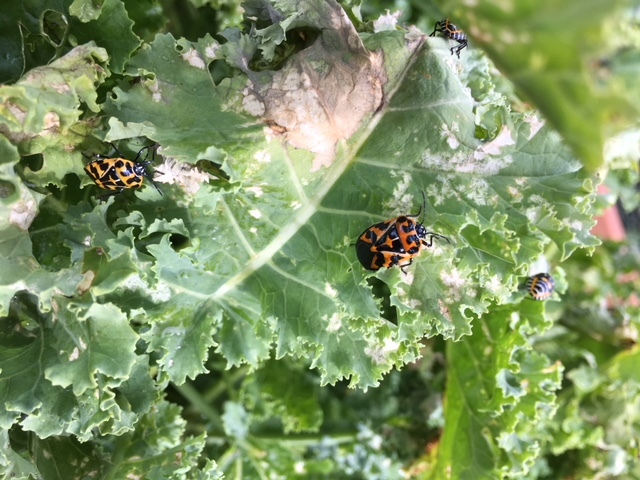 Linda: We were gone for a week and came home to an infestation of these on kale, radishes and raspberries. I couldn’t find them in my bug books. Any ideas? The markings are so distinctive; they look like ancient hieroglyphics. Doug: Those are harlequin bugs, a type of stink bug. There are a couple of ways to deal with them. The most effective is finding the eggs and destroying them before they hatch. Obviously, that ship has sailed. Next is handpicking, just knock them into a can of soapy water. Another tactic is to use a simple combination of a 1 percent insecticidal soap solution, which penetrates their hard shells, and neem (0.9 percent). Be sure to do a good clean-up at the end of the season. The pests overwinter there so keep the garden free of spent foliage during the season. Janice: My husband bought me two purple beautiful asters. I didn’t know they were perennials. Can I plant them now? Doug: This is the perfect time to plant them. Dig a hole twice as big as the root ball and incorporate some compost into the planting hole. You can find it by the bag at any good nursery. After planting, be sure you keep the soil moist if we don’t get rain. Jeannie: Do you have any idea what this is? It just showed up in my yard. Doug: This is Venice rose mallow from the hibiscus family. 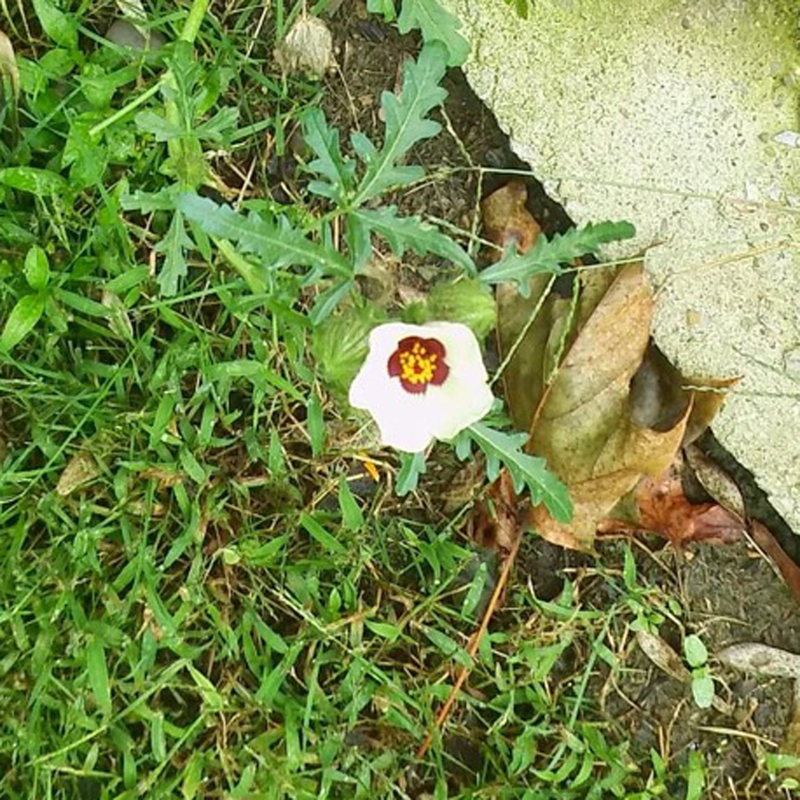 It’s a wildflower, the blooms usually only last about a day, but it puts on lots of flowers. See also, Bulbs Are Planted Now For Spring Flower Surprises.